If your sign requires certain hardware or is outside our normal scope of work, we may still be able to help. Contact us about our capabilities or browse some of our specialty sign listings in our full online catalog here, and from the options below. If you need an original lit or structural sign, we will let you know if we can tackle the work or direct you to one of our strong partners who can! 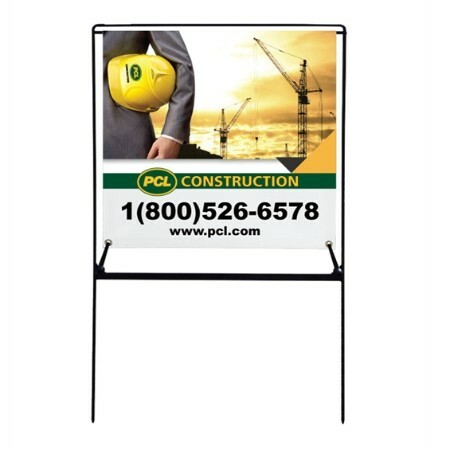 2'x4' 13 oz vinyl banner in steel frame with 2 bungees, hemmed, grommetted. "Sign" search in our promotional items catalog, every item from our entire network of sellers. Jump to our Event Displays Catalog if you are looking for a specific booth or kiosk item.